Does not deliver on Saturday, Sunday or Monday. 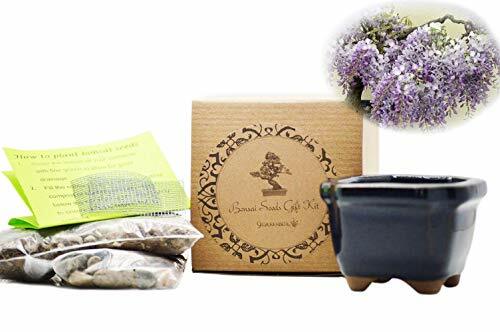 Seed kit includes Chinese Blue Wisteria Bonsai Seeds, Ceramic Vase,Bonsai Potting Mix, Pebbles, and Instruction Guide. IT WILL ARRIVE IN 2 SET.